Drenia Wilson, left, and April Jones are the co-survivors of the upcoming Komen Race for the Cure. For April Jones and Drenia Wilson, being diagnosed with cancer did not mean it was the end of the world. It just gave them momentum to enjoy life to the fullest. Jones and Wilson are the honorary co-survivors for the Susan G. Komen Upper Cumberland Race for the Cure which will be held in conjunction with Fall FunFest Saturday. Race village opens at 6 a.m., survivor recognition at 7 a.m. and the five mile race at 8 a.m. The one mile walk begins at 8:15 a.m.
“Quitting was not an option,” Wilson said. She was 31 years old and had five kids at home when diagnosed. Her dad was dying from lung cancer. It was also a time that not much was known about breast cancer. In the weeks following her diagnosis, she was given a lot of information and decisions to think about. 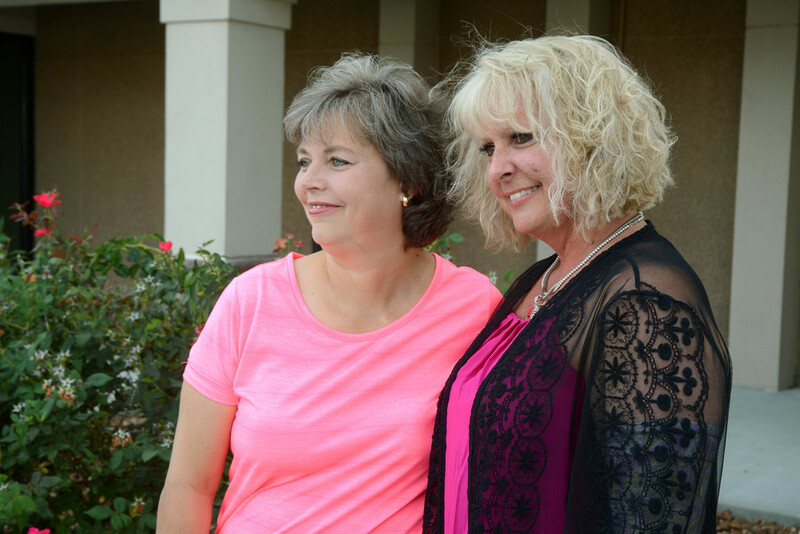 During the following eight months, she had a radical mastectomy, reconstruction, port placement, chemo and radiation. “I just wanted to live to see my kids grow up,” she said. For the next five years, she would go for checkups and things would be fine.